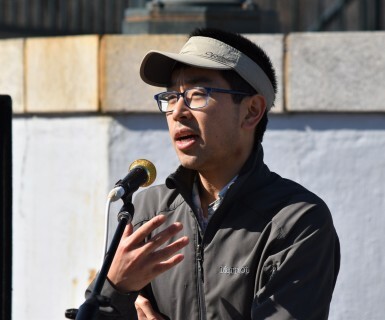 Meet Alex T. Vai, volunteer campaign coordinator with the Surfrider Massachusetts Chapter, who is helping rally support for plastic pollution solutions and other critical efforts to protect the ocean, waves and beaches of his state. A big + bold THANK YOU to Alex for his above-and-beyond contributions to Surfrider, his chapter, and the ocean! I started studying the ocean in earnest when I was on the National Ocean Sciences Bowl Team at Lincoln-Sudbury Regional High School. Even though my professional career has taken me in a different direction, being in, on, or around the water fills a void in my soul like nothing else can. Despite having lived in Massachusetts for nearly all my life, I don’t think I fully found my inner activist until returning from graduate school about two years ago, and seeing New England with a fresh set of eyes. For me at least, a few years away was what I needed to truly understand all the possibilities and perils around our local slice of the blue planet. In tackling these problems, I sincerely believe that being accountable to personal actions and making good choices are essential. But the enormous scale of problems like plastic pollution and climate change demand greater action than even the most skilled, passionate, and dedicated person can achieve alone. These are societal problems that require societal solutions. In looking at how to apply my own energy and passion, the grassroots model of the Surfrider Foundation just made sense. It is about building upon the varied skills and talents of members, helping like-minded ocean lovers and protectors find a community, and then using this foundation as a springboard to drive substantive, positive changes. It is clear that the ocean faces serious threats. At the same time, there remains SO MUCH worth fighting for. Being an individual but also a part of Surfrider magnifies my personal impact, and truly helps me to protect the ocean as much as I possibly can. Plastic marine debris, and its close connection to the unnecessary use of disposable plastic items, is one of our chapter’s major focus areas. To take an example we often cite, without the efforts of Surfrider and its local partners, Massachusetts residents would discard more than 2 billion thin-film plastic checkout bags every year, equivalent to 250 bags annually for every foot of our coastline. Even as we are horrified by the visible effects of plastic pollution on landscapes and wildlife, and are worried about the many unseen effects that science tell us are happening, we are also heartened by the recent outpouring of awareness and support that we are seeing around the problem of plastic marine debris, both locally, regionally, nationally and internationally. Our chapter is also joining the rest of the global Surfrider network in vocally opposing the Trump Administration’s proposal to open vast amounts of America's waters to the threats of oil and gas drilling and seismic exploration. Even beyond the fact that this proposal will delay our urgently needed transition to more sustainable forms of energy, the mere idea of risking the ocean – a central part of the Massachusetts identity and the key to our collective physical and economic wellbeing – is absolutely intolerable. The Massachusetts Chapter is relatively small but active, and everyone pitches in wherever they can! 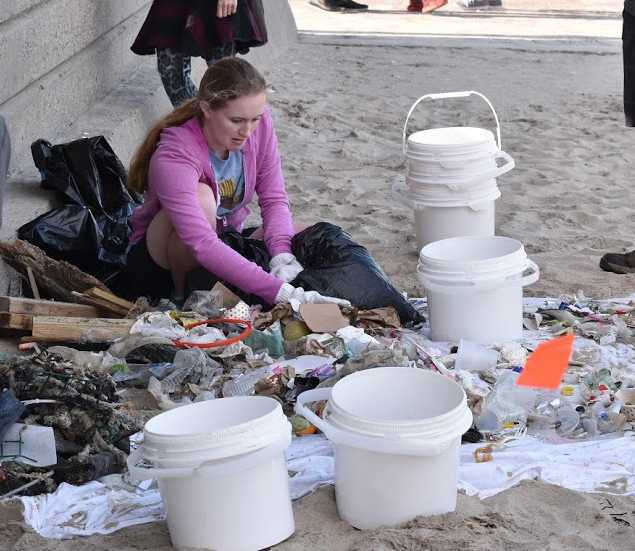 One of the more unique events that I have organized was a combination concert and beach cleanup at Revere Beach last April, in collaboration with the Spring 2018 oceanography class at the Berklee School of Music. 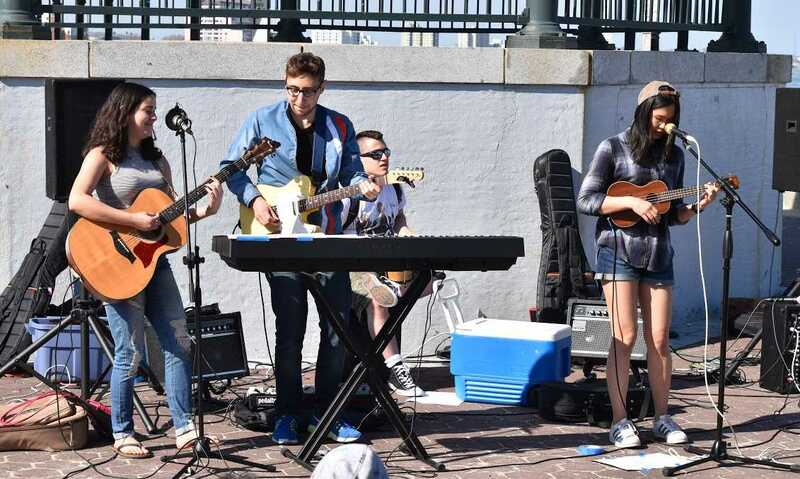 We co-presented a concert of original music composed to raise awareness about the need for ocean protection, and then had a big cleanup and trash sort with all of the attendees and passers-by who were attracted by the music! I am also the current ​volunteer ​campaign coordinator for the chapter. In this role, I ​work with Surfrider's Northeast Regional Manager, Melissa Gates, to​ organize advocacy efforts for our chapter, particularly right now regarding state and local efforts to reduce single-use plastic pollution in Massachusetts. Local activists in communities across our State are tirelessly working to reduce single-use plastic items, like plastic checkout bags, single-use water bottles, polystyrene foodservice wares, and plastic straws. We have been supporting as many of these statewide and local efforts as we can by testifying, making policy recommendations in line with Surfrider's best practices, presenting at public forums, and sharing technical research and arguments that we’ve curated on these topics. We’ve even done our fair share of late night moral support phone calls! 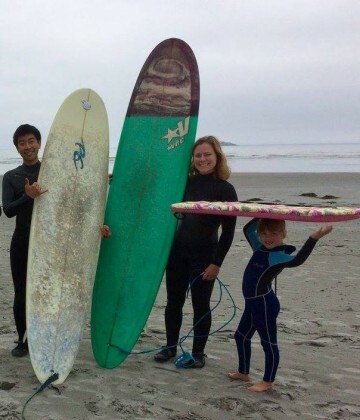 Q: What has been the highlight of your Surfrider experience thus far? We are part of a growing wave of Massachusetts residents who are committed to reducing the consumption of single-use plastics. There are now single-use plastic bag restrictions in 81 cities and towns, which is home to more than 35% of ​our State's ​residents. Through the joint efforts of local communities, community leaders and nonprofit organizations, an estimated 600-700 million fewer plastic bags are being used every year in our Commonwealth. Even further, we are cautiously optimistic that this local momentum has brought a statewide plastic bag law to the cusp of passage, which would make Massachusetts the second state in the nation to pass such a law. Visitors to Massachusetts who enjoy Boston, the Berkshire Mountains, or any other area of our great state, as well as residents of other states who are worried that a less than ideal bag ban law passing that does not address single-use paper bags could be replicated and passed in their own state, are also urged to write to the committee! This is fast moving so be sure to email, ASAP, and before 7/31/18 (learn more about the bag ban and why adding the fee for paper bags back in is so vital). 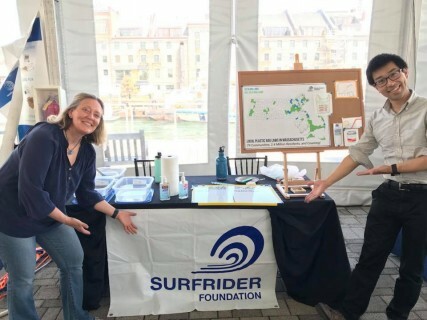 Surfrider ha​s been a significant part of building and guiding incredible energy for ocean protection in Massachusetts, and we are in good company in the effort; our collective progress in Massachusetts has come from countless dedicated individuals and NGOs over many years. Our chapter will stay engaged and help keep the momentum going to help solve the plastic pollution problem. I really enjoy telling others that the Surfrider Foundation is dedicated to both protecting and enjoying the ocean. At the end of the day, people will protect what they love. If they enjoy the ocean, they will know that it is worth protecting. It’s a beautiful symmetry. This blue planet is our one and only home in the universe, and a place that we must share with each other and countless other living things. We all gain so much in joy and life from a clean, healthy ocean. It has come to pass that we humans have the power to put all of this at risk, but this also means that we collectively have the wisdom and ability to start limiting and fixing the damage that we have caused. With this much to lose, there is no rational option but to stand up, speak out, and fight together as hard as we each are able. To borrow from the inimitable Terry Pratchett: “Even if it’s not [just] your fault, it’s still your responsibility”.